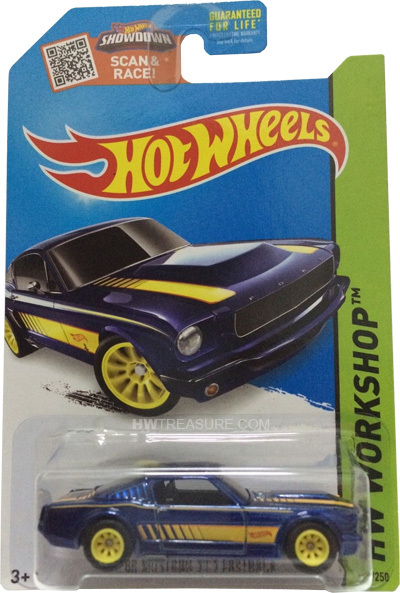 242/250 is part of the HW Workshop series and the 2015 Super Treasure Hunt set. The car boasts blue Spectraflame paint with double yellow stripes on the top, as well as a yellow stripe and yellow line on the side. 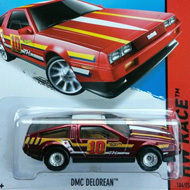 The sides also have the Hot Wheels logo and the trunk has “TH”. It has tinted windows, a black interior, yellow 8-spoke Real Rider wheels, and a black Malaysia base. 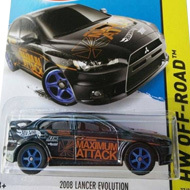 This vehicle can be found in mix “L” of 2015 Hot Wheels mainline cases. The Mustang made its debut in the 2008 New Models series and is based upon the popular car of the same name. It is known for its sporty design that features a long hood and sloping roofline.